Smart-looking yet functional in commuter bag designs. An urban carry-all with a variety of pocket compartments for wallet, cellphone and PC notebook makes it the perfect everyday tote. Carry in your hand, on your shoulder or across your chest. Material Used: 100% Olefin sueded automotive upholstery, 54″ [137 cm] wide; trimmed with PVC leatherette vinyl, 60″ [152 cm] wide. 2 D-rings, 1” [25 mm] inner dia. 2 swivel clasps, 2” [50 mm] inner dia. 1 square slider buckle, 2” [50 mm] inner dia. 1 square bracket ring, 2” [50 mm] inner dia. 2 dome snaps, ½” [12 mm] dia. 12 rivets, ½” [12 mm] dia. Design Note: Coordinate metal colour and finishes for the zippers and hardware; do the same for dome snaps and rivets. This is a simple block design. 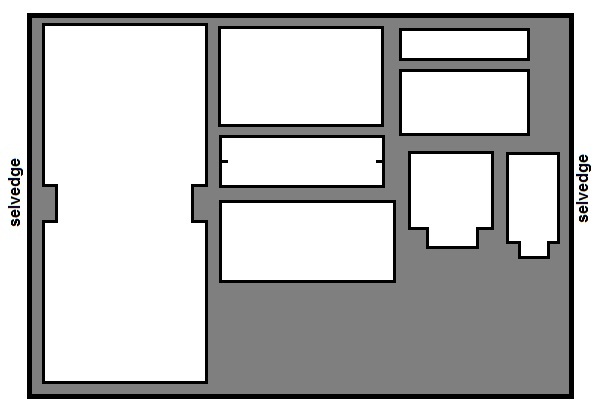 Plot and cut block layout directly onto the fabric according to the measurements given (seam allowance is NOT included); OR draft onto kraft paper for a permanent hard-copy pattern. cut 2 strap handles from webbing; each is 20” [51 cm] long. cut 1 short shoulder strap from webbing 15” [38 cm] long. cut 1 long shoulder strap from webbing 33” [84 cm] long. cut 2 rectangles from leatherette; each is 8” [20 cm] long and 3” [7.5 cm] wide. cut 4 tabs from leatherette; each tab is 2” [5 cm] long and 2” [5 cm] wide. cut 2 loops from leatherette; each loop is 4” [10 cm] long and 1” [2.5 cm] wide. cut 1 oblong from leatherette; it is 11” [28 cm] long and 1½” [4 cm] wide. Design Note: Use an x-acto knife and metal ruler to cut the leatherette neatly. Make up shoulder strap pieces and D-ring loops. Place the bracket ring onto the short webbing strap piece and attach at one end. On the long strap piece, add a slider buckle and attach to one end. Add a swivel clasp at the open end of shoulder strap, then insert strapping through the slider and attach open end to the bracket ring on the shorter strap. Attach the remaining swivel clasp to the short strap section. Set aside. 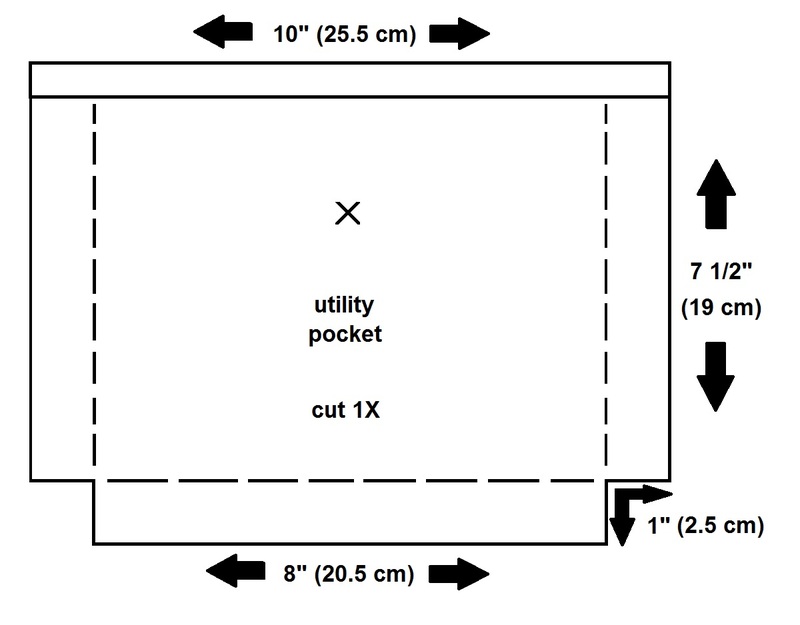 Make exterior pockets. 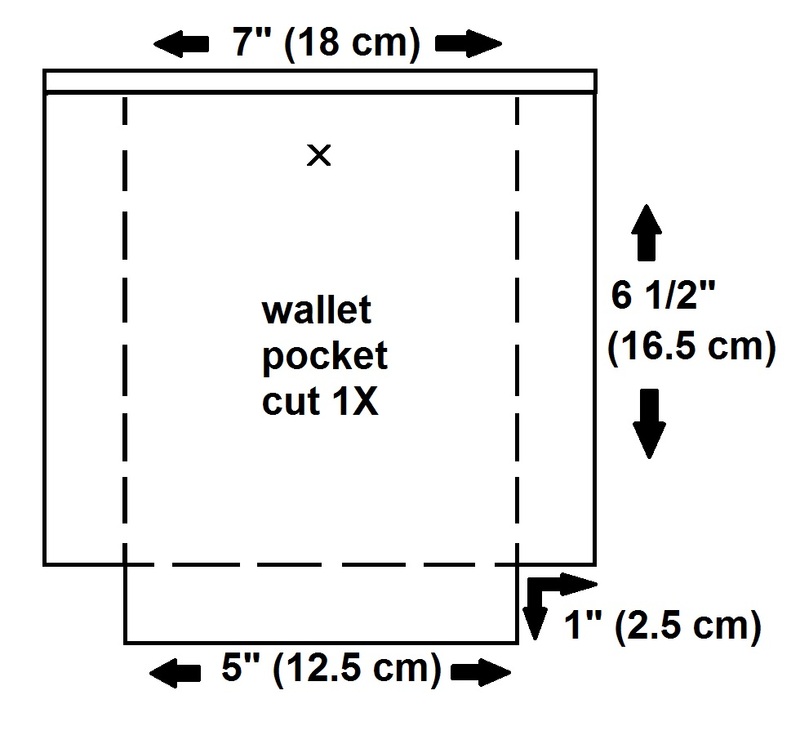 For the wallet, cell phone, and utility pockets, fold and miter lower corners of pocket pieces. Turn under the top edge of the pocket and press flat. Topstitch the top edge of pocket. For pockets with dome snaps, fuse a small piece of interfacing to back of fabric to accept the hardware in its placement position. Turn under the seam allowance along the sides and bottom of the pockets and press flat around perimeter of pockets. Set aside. For the envelope pocket, outline the zipper opening with stay-stitching and insert zipper. To hide the cut edges of the zipper opening, use the oblong strip cut from the leatherette as a frame around the zipper. Dry-fit the leatherette to the zipper opening and cut out a slot for the zipper and topstitch in place. Next, turn under the seam allowance on all sides of the pocket and press flat. Set aside. For pocket flap, fuse interfacing to back of fabric. With FACE SIDES together, fold flap in half lengthwise and sew up short ends. Grade and trim points; turn right-side-out and press flat. Set aside. For notebook pocket, press under top edge of pocket. Align and center zipper to top edge and topstitch in place. Turn under seam allowance along sides and bottom of pocket and press flat. Turn under seam allowance along perimeter of pocket and press flat. Set aside. For zipper flap, fuse interfacing to back of fabric. With FACE SIDES together, fold flap in half lengthwise and sew up short ends. Grade and trim points; turn right-side-out and press flat. Set aside. Do a Hong Kong finish to neaten all vertical seams of the main body section. Following the illustration, place each pocket to its location on the body section while it is still flat and edgestitch around the pockets. For pockets and flaps with dome snap closures, you will need to attach part of the “set” to the bag body or pocket prior to sewing the pocket in place. Reinforce the fabric at the connection point by fusing a small piece of interfacing to the location to stabilize the fabric for receiving the dome snap. Follow manufacturer’s direction for installation. With FACE sides together, sew the vertical seams and press open. Then, align and match the side of the bag to its bottom. Sew from corner to corner to miter the seam. Bind the raw edge of this seam with bias tape and complete a Hong Kong seam finish. Turn body of the bag right-side out. Set aside. Cut the two strap pieces from the webbing. These will be the bag handles. Measure each handle strap to 20″ [51 cm] long. Center a rectangle of leatherette in the middle of the strap to form a handle and wrap it around the webbing. Fold the webbing widthwise and stitch down. Set aside. With FACE SIDE UP, turn under seam allowance along the top edge of the bag and press flat. Turn under 1” [25mm] to face the bag opening and topstitch in place around the opening. Sew the D-ring loops to each side seam just below the top facing stitching. Add rivets following manufacturer’s directions. Sew 2 leatherette tabs FACE DOWN to the edge of the bag opening (5” [12.5 cm] from the side seams) on the front and back on the bag opening. Sew through the middle of each tab. Place handle straps ends on top of a tab and secure in place. Fold the tab in half to encase the strap end and topstitch around the edge of the tab. Add rivets following manufacturer’s directions. Clip on swivel clasps to D-rings. very cool and functional design! I am in love! Thank you! This is the bag I’ve been waiting for! I love the bag! And I’m just in need of a large one.. This is gonna be in my project list. If I manage to make one, I’ll let you know! And great blog, by the way. It makes me very happy to see such a great work being done. Ever thought about a book? Beautiful! I love the designs of your bags and how professional they look. I will totally make this! This bag is amaaaazing!! I’m looking forward to giving it a try! Thank you Manuela. May I suggest you find yourself a good reference book about how-to-sew as a guide at your local public library. Take small steps and realize your dreams. It only takes patience and practice. Good luck! When i first saw the photo, I thought that the bag was from a store because it looks so professional! What a great job you did! The little details like the riveted strap holds, and the adjustable strap add to that professional look. I have never had much luck with the envelope pocket cut, but I really love how it looks onyours, so I think I will have to practice it. Thank you for a great pattern and result! Thanks Bunnie. The rivets used on this bag design are aluminum ones and applied with a pop-rivet gun. You can find them sold at your local hardware retailer. Absolutely fabulous. You should venture into PDF downloaded patterns you would be brilliant. I will attempt this. 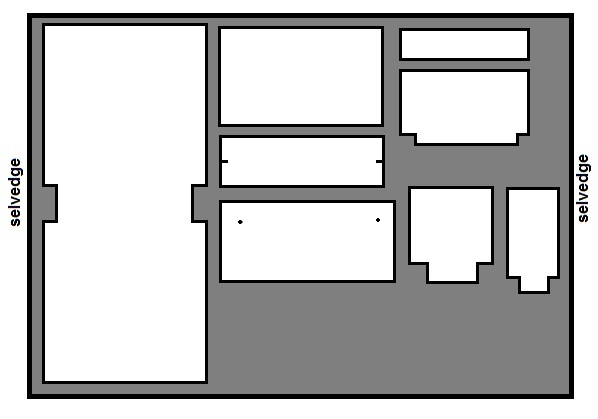 Hope I get the dimensions right, I can be dozy, hence why I like the PDF. So fingers crossed. How much main fabric does one need? Can’t see it ? It will depend upon the type of fabric you select and its finished width. Most heavy fabrics like those used in upholstery are generally 54 inches wide so you’ll need approximately 1-1/4 yards if it is a solid colour. Patterned fabrics may take a bit more to allow for matching the print. love it! thank u for sharing! will be my next bag project! THANK YOU so much, it’s awesome! i love this design!! very cool! what is the level of difficulty to sew this bag? thank you…not quite sure what it is you’re asking. The sewing instructions are given. Wow! This is awesome! thank you very much, Don! Will try to make one on the weekend. I love this bag, and I’m making it for my Hubby. There is one thing I need your help. Could you mind take a photo/ or showing back of the bag? I really want to see it, especially the notebook, tablet pocket and the zip. Really appreciate it. Can’t wait to finish it and use it! Unfortunately I no longer have the original sample bag to show you. I did photograph the backside of the tote but the pocket did not show up well on film and appeared to be a “shadow”, so I did not post it. 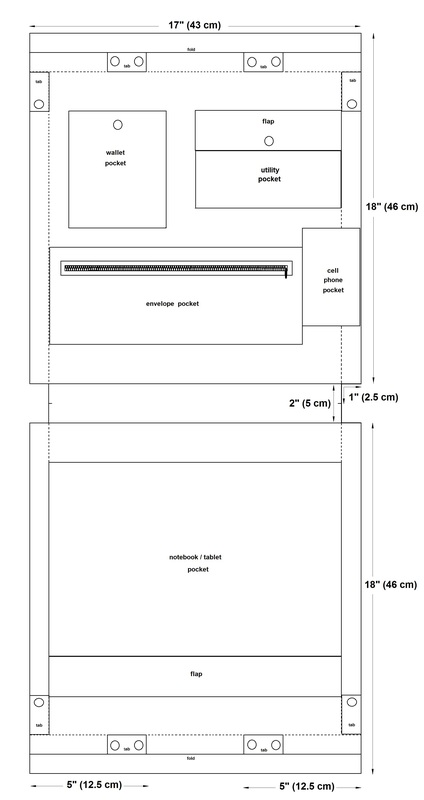 However, the concept of the tablet pocket is basic and simple to make. Think of it as an envelope. The pocket is appliqued onto the back side of the tote and has a lapped zipper flap opening at the top which conceals the zipper. Hope you will send me a photo of it for my GALLERY once you have completed it? Don, I am *stunned* by your generosity, offering these great tutorials and designs. Utterly gorgeous. I’ve had this hulking reddish suede coat in my front closet for a couple of years. It’s in mint-perfect condition, even though I bought it at a thrift store. This will be my first effort at making a really good bag. (Started sewing at age 7, and am a generally accomplished seamstress.) A couple of questions. Thanks for the kind words Marti. Regarding your question, it all depends how thick your cow suede is. Most domestic sewing machine are not powerful enough to stitch several layers of any leather. In the trade, we use powerful industrial leather machines. I’d say any hide that is 2 oz or less per square foot would work with your Pfaff. You’ll need to modify it with a leather sewing machine needle and a dual feed foot. 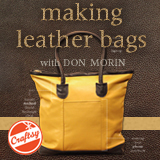 I’m about to launch a class on Craftsy.com called MAKING LEATHER BAGS. It is basically a primer for leather 101. Oh… one other question. I recently bought a “used” St. John jacket in an online auction. ($61. Yep, major win!) The “used” aspect turned out to be the missing tongue of the jacket’s zipper. Otherwise, it’s brand new, never worn. Am I correct that replacing the entire zipper pull would only be possible by damaging the zipper (even slightly) and that the only other way to effect a repair is to simply find a cool bead and wire it on as a zipper pull? (Or some such silliness?) I definitely don’t want to replace the zipper because that would mean more needles going into my sweet, innocent thrifty find. If the zipper head is in good working order, there are zipper fobs that can clip onto the slider to make it useful again. If the zipper head is not in working order, it is possible to replace it with a new one by removing the 2 stoppers (little metal clips at top of the zipper), slip on the new head, and clamp on 2 new zip stoppers without removing the zipper from the jacket. You will find such hardware at your local tailor’s supply retailer. The head is working order and I’m struggling to find a good fob. The “local tailor supply store” here is G Street Fabric, which offers high end fabrics, a billion buttons, thread and ribbon in every shade of the rainbow and… ZERO fobs. Any online retailers of such to recommend? As regards answer to my first question, I’m not sure how to determine leather weight…. beyond slicing into it and weighing it. Your leather supplier should be able to tell you what the weight and yardage is of each hide. As for the zipper fobs, welcome to my world….and I’m the guy who manufactures handbags. I always find it is the case that if you need one it is never in stock yet if you don’t need one you are tripping over the lot. No solutions here except keep shopping. If push comes to shove, try nicking one from a separating jacket zipper. DO you sell your bags? I would love to buy this bag. The manufacturers that I design for do sell their bags. Some are domestic and others sell around the world. Okay and Idea where I can find this bag in particular to buy? Thank you, Rebeca, that is very flattering but I think you’re missing the purpose of my design blog. Anyone can design their own. I would to try make this bag: http://bit.ly/162Jkay but could not find a tutorial anywhere on how to make it. I hope you could help. Can you please give us an idea on how? I certainly may be able to help you with that design. 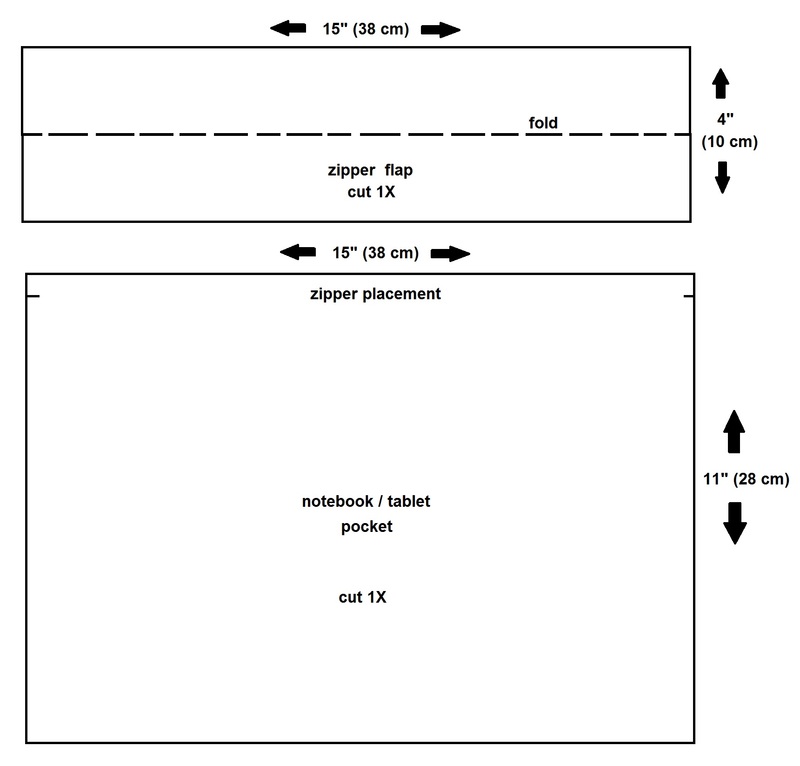 I have a tutorial coming up for a tablet bag that is very similar to the construction of your example. Stay tuned! Oh my, Don. You are so skilled and generous to offer such a thorough tutorial. I am a beginner sewer, but have seemed to have caught on fairly quickly in my short 6 months. 1 & 1/2 quilts (didn’t realize that they needed quilting at the end so they are in a corner. Have seemed to have lost motivation on the second one after that tiny discovery), 1 purse, 1 tote, 1 wall hanging, and 3 placemats. I hope you have a great day. I love your blog. Very inspiring!! Thank you Amy, I am glad you are enjoying my design blog. From what you have told me, I don’t think you can afford me. The classes offered by Craftsy is my way of making BAG’N-TELLE a little bit more accessible for my followers. Many have asked me if I have a book or CDs to sell showing step-by-step instruction for creating fashion. Though I am flattered to be asked, my job keeps me too busy to have the time to do those things. BAG’N-TELLE is meant as an educational venue to guide and provide insight that you can be your own designer. It isn’t rocket science. My suggestion is to try the Craftsy platform. They offer many classes in bag construction. Start with a simple one and build on the knowledge you have learned. The marketing dept. of Craftsy often has sales on many classes with generous discounts so sign up on Craftsy (it’s free) and subscribe to their newsletter to get alerts of sale promotions. Remember, once you enroll in the class, it is yours. You can watch the video(s) anytime, anywhere, as often as you wish and if you are not completely happy with them, Craftsy will refund your money. Regarding your felt bag design, I’d suggest this class by my colleague Brent Bara (http://www.craftsy.com/class/design-your-own-handbag/144?_ct=sbqii-jxucu-byij-ycw&_ctp=9&_egg=sekhiu_wqbbuho_20131031&_ege=144 ). Later you can work up to taking my class to learn how to work with leather. I show in the video how to modify the set up of your Singer Quantum Stylist 9960 to sew lightweight leather hides. The Craftsy platform will allow you to ask me questions or show me photos of what you are sewing. It is a pretty unique set-up. I’ll be right there to guide you. Keep sewing and most of all, enjoy the process of creating and designing your own. Great style to the purse, you indicate adding seam allowances but do not say how much of one. You may use any width that you are comfortable with when sewing. Uau…. es sencillamente hermoso….. Intentaré realizarlo en tela, ya que aqui en Venezuela las pieles no son de facíl ubicación….. Mil gracias por el tutorial, es excelente!!!!!!! 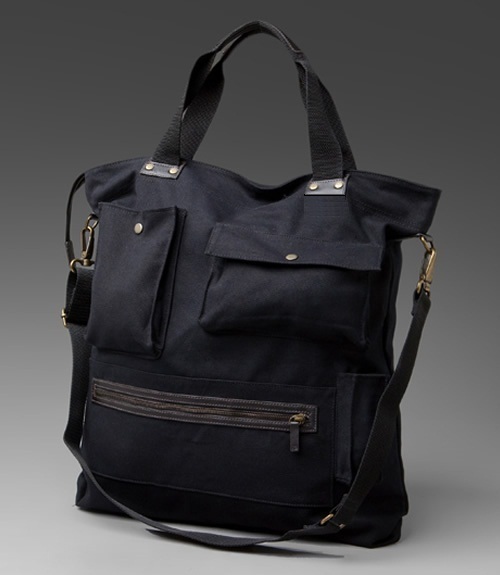 I am trying to make this bag and cannot for the life of me figure out the metered corner on the pockets. 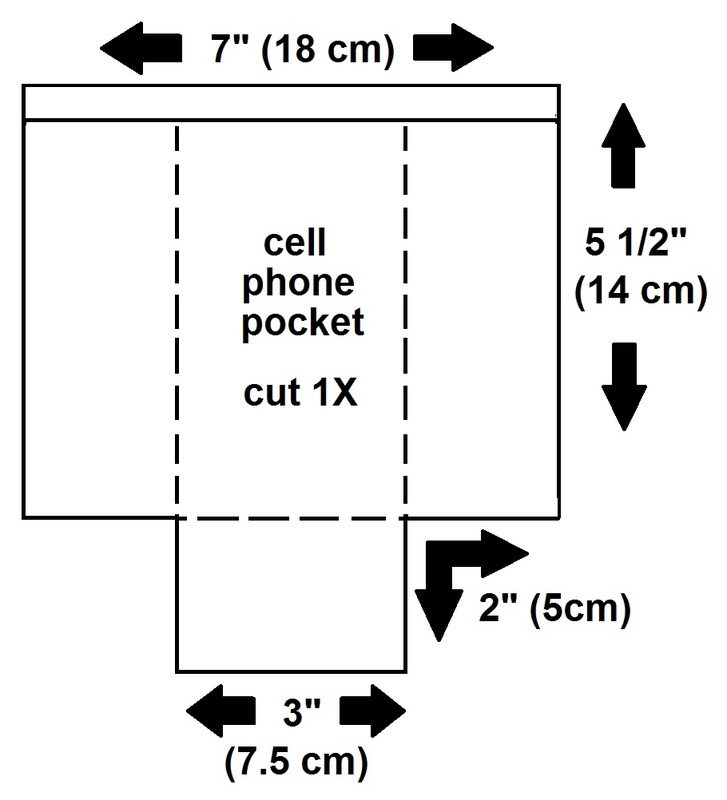 On the cell phone pocket, the 2″ cutout has me so confused. I did follow the link for mitering but it doesn’t make sense to me with the cutouts. Any help would be appreciated. Allow me to detail a mitred corner for you, Julie. The idea is to make the pocket three-dimensional rather than flat to hold your cellphone. If you have the understanding of how the main body of this bag design is made, then you have the theory behind making this pocket. It is a miniature version of the larger shape. You will have the front of the pocket plus two sides and a base. This is achieved by cutting out a square section from each bottom corner of the pocket fabric. The base and the side must be equal width. 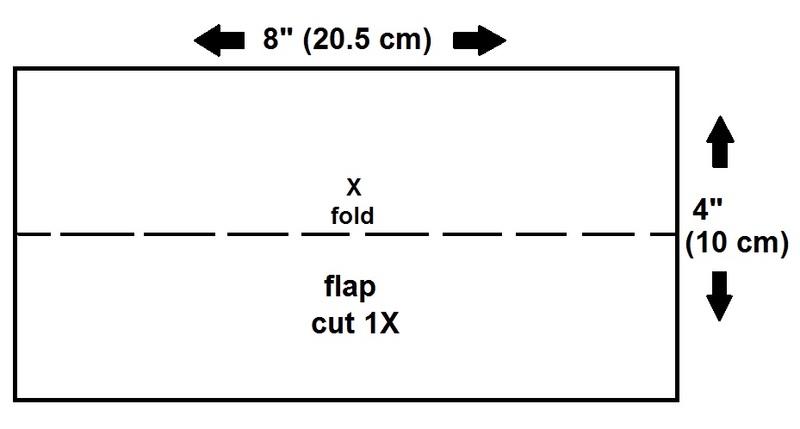 Remember there is also seam allowance to add (which will visually make the desired measurement appear smaller). Now you are ready to assemble. Fold the fabric with right sides together, matching the outermost points of the cut-out corner together. By aligning the fabric edges to meet, you’ll be folding the material diagonally at a 45 degree to a point at the inner point of the cut-out. Stitch this small seam according to your allotted seam allowance and press the seam open. This will create the 3-D effect. Repeat on the opposite corner of the pocket. Coure you kindly Share more photos?